ASUS has recently unveiled officially two tablet PCs, Eee Pad 121 and EP101TC at COMPUTEX. 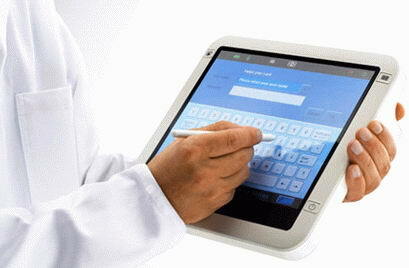 These tablets are the combination of versatility and power of Windows 7 laptop. This is a good marketing head start that companies are going with the idea of tablets instead of notebooks PCs. It was the theme that inspired ASUS to design Eee Pad 121 Tablet PC. Eee Pad is offered by getting influence from Apple’s tablet PC called iPad that has been the most celebrated tablet computer in the tablet market. Its design aims at e-reading, internet browsing and multimedia applications for the users. However, it is a Windows 7 based tablet, so it can easily be used in other tasks like a simple computer. Though it is small in size but an external keyboard can be connected with it to work. ASUS has displayed only the concept design, so its final look and feel can not be determined yet. It is expected to be between $199 and $299 though it is not officially announced by ASUS yet.